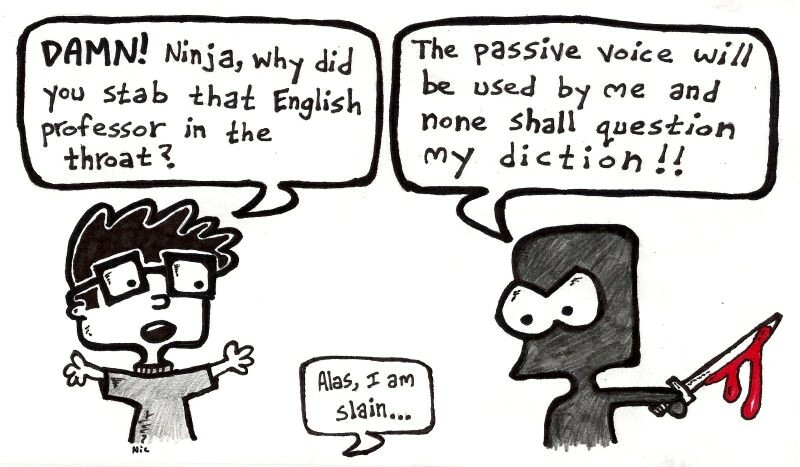 A handout on passive infinitives and another one on the passive_voice with examples and translations. We all love listening to and watching people. Here is Jennifer ESL in youtube who is explaining the passive. Explanation with examples of passive forms Loads of exercises from different sources: Better English, ODL Or try what other people have bookmarked in Delicious, where people bookmark their favourite links and webs. This one was the best, with explanations plus exercises. This entry was posted in GRAMMAR, Unit 6. Bookmark the permalink.